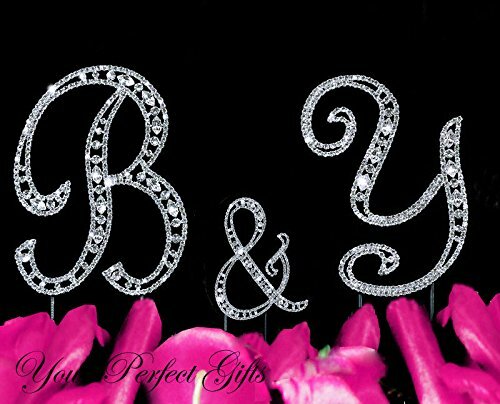 Swarovski Rhinestone Crystal Monogram Wedding Cake Topper Initial Letter 3 pcs by your_perfect_gifts at Your Daily Food Choices. MPN: 689416735234. Hurry! Limited time offer. Offer valid only while supplies last. View More In Cake Toppers. Qty and Size (approx): Two pieces of 4-3/4" letters, One piece of 2-3/4" ampersand "&"
Rhinestone Color: Clear The back of letter is flat without crystals. If you have any questions about this product by your_perfect_gifts, contact us by completing and submitting the form below. If you are looking for a specif part number, please include it with your message.